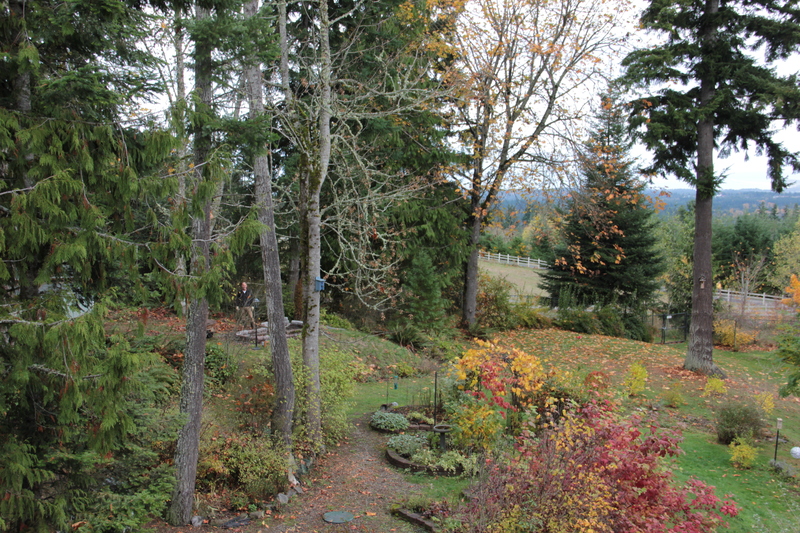 It’s the first day of my month, and almost one year since I began chronicling Coppertop gardens. Ten healthy pots of Dianthus barbatus or sweet william that I started from seed are all laid out and will have a new home this afternoon in the raised bed by the garage. As these are biennials, they probably won’t flower until next year, but their headstart in the greenhouse may promote flowers this summer; this is all a learning curve! 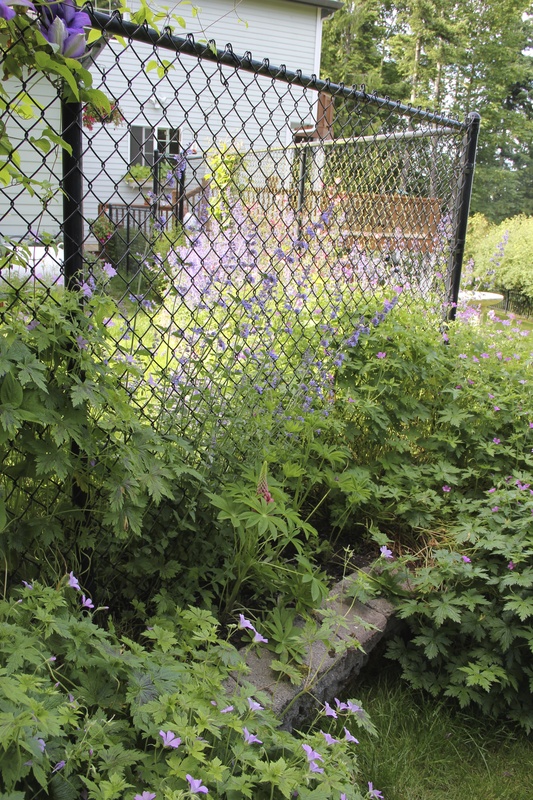 They join the catmint, hardy geraniums, wild strawberries and other perennials in this bed. Now, with the “dog yard” fence removed from its middle, the bed promises to be sweeter still. 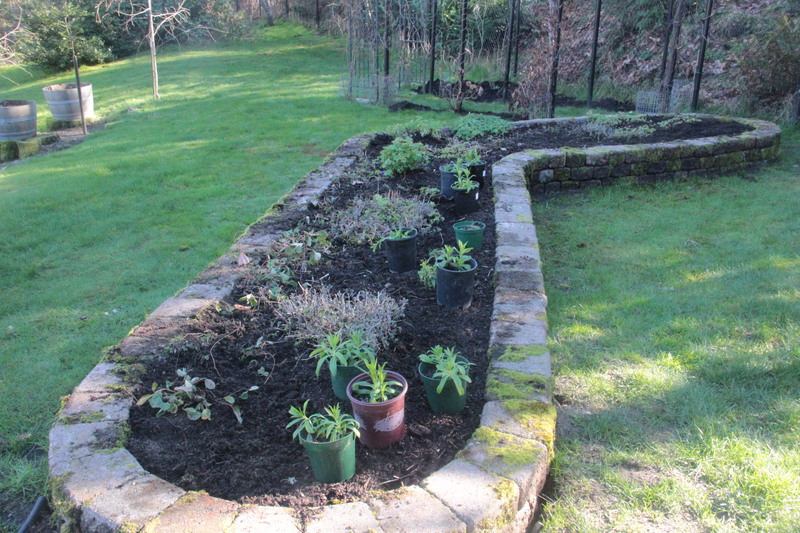 Nearby, we put in three new peony tubers to extend the row of peonies to fill the area that once held part of this bed. 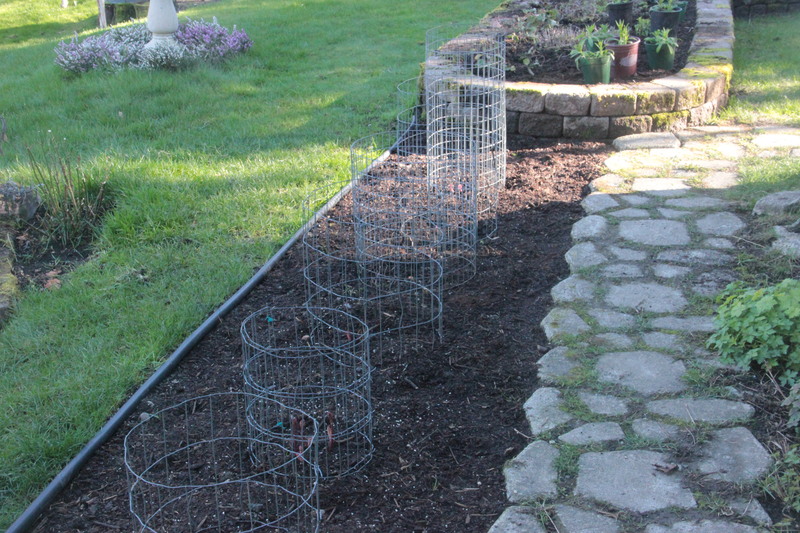 We’re protecting this row of six peonies with cages to remind us not to step there! Around the peonies I’ve planted tulips. 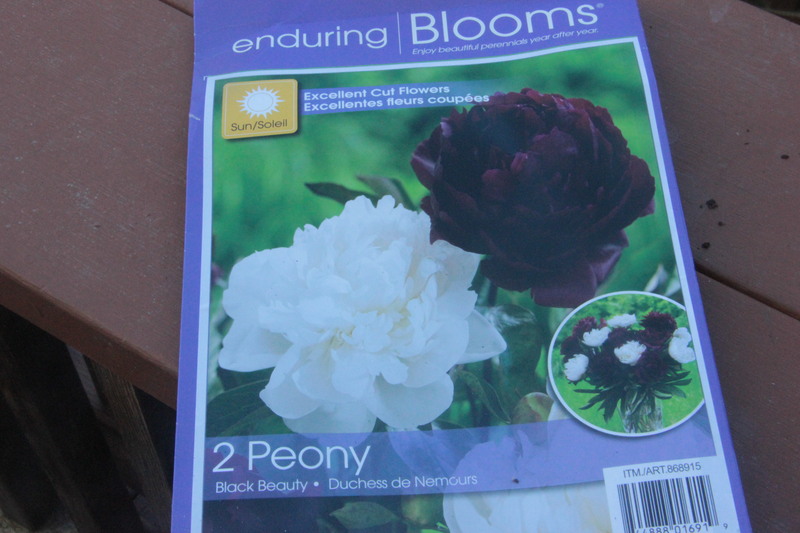 These new peonies are Bowl of Beauty, Bunker Hill, and Black Beauty varieties. 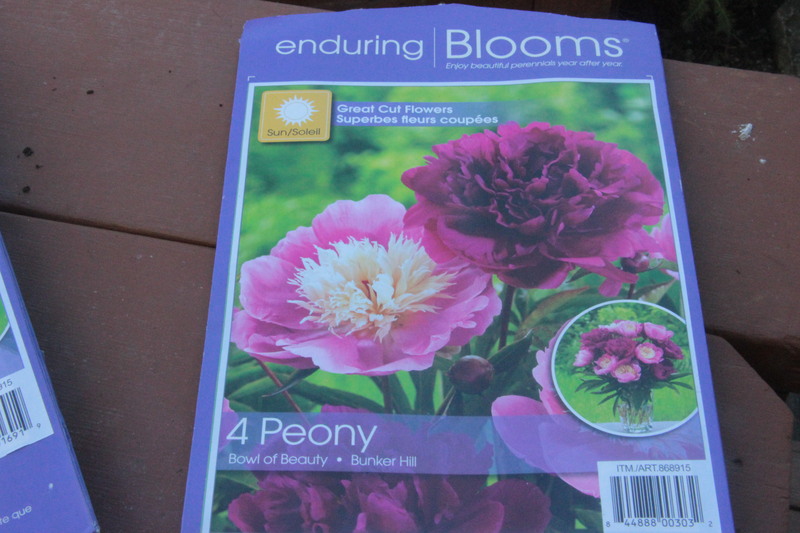 They’ll offer nice contrast to the pale pink peonies already established there. 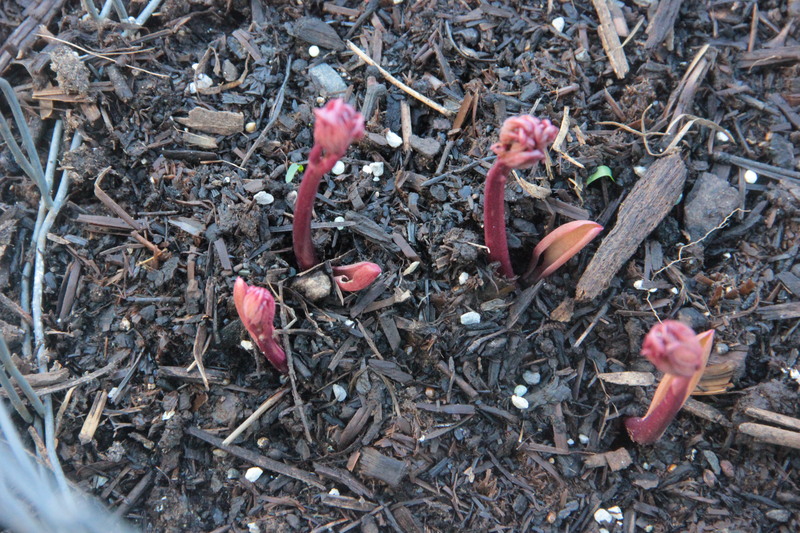 The other, older peonies along the garage are springing to life this week. I wrote about their glorious blooms here. Near the chicken mansion lies a sunny promontory point where the previous owners kept a rabbit hutch. 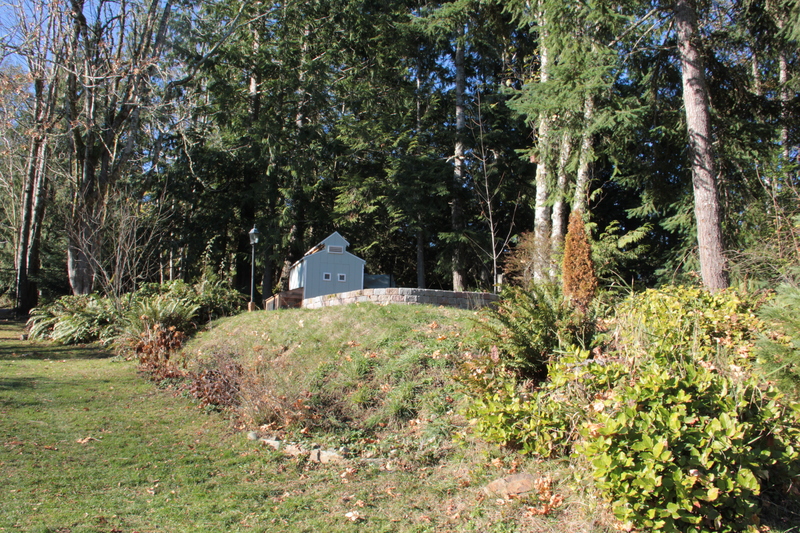 Because the promontory is made up of soil, rabbit droppings, and loads of dreaded gravel, we decided to top it with a raised bed filled with compost and utilize this full-sun high spot in the gardens for more perennial beauty, and perhaps a miniature fruit tree. Here’s Hubby commencing the construction of the bed back in November. 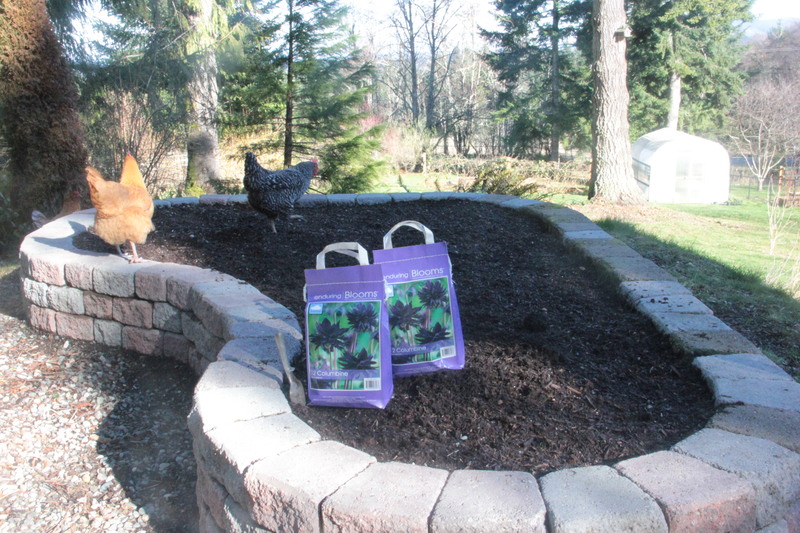 The hens have explored the bed from its inception, scratching around and adding their brand of fertilizer. 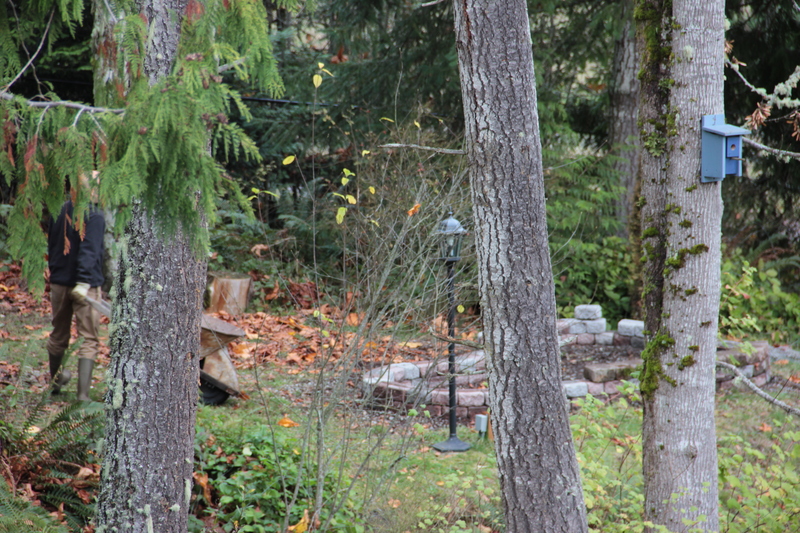 I’ll need to put a low fence around its perimeter to establish plants. Back in December the hens held a party of sorts on the empty bed. 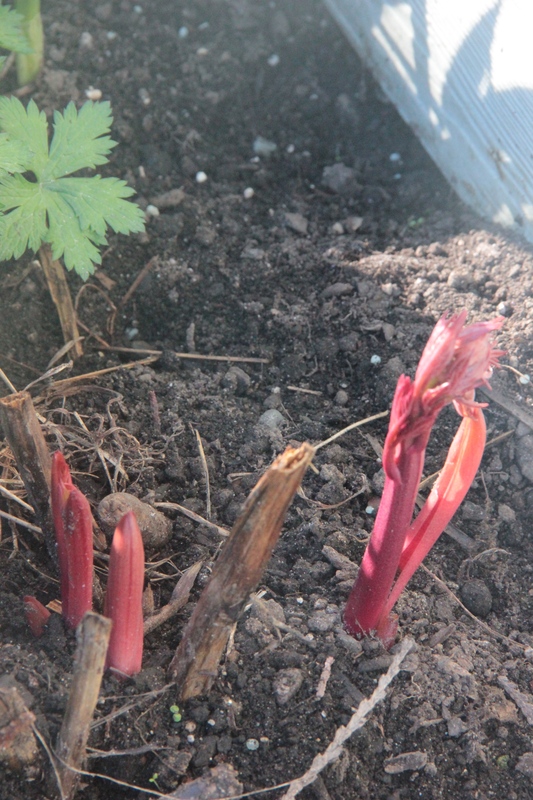 Last week we added the last load of compost to fill the bed, and I celebrated by digging a hole and placing the peony tuber. I’m working on a detailed spring planting plan for the large L shape, but for now I have these lovely dark columbines to plant along one edge. This entry was tagged aquilegia, chicken mansion, columbine, dianthus, gardening, new bed, Olympic Peninsula, peonies, raised beds, sweet william, Western Washington. Bookmark the permalink. I love peonies. 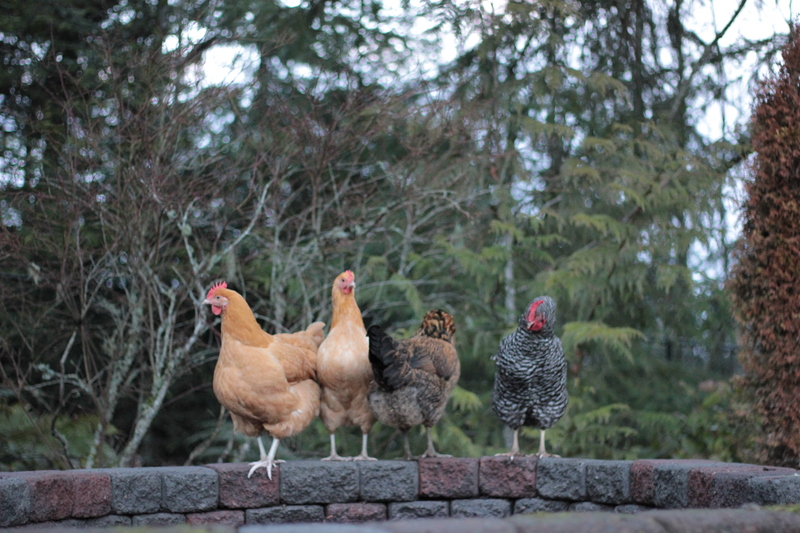 Great picture of the hens on the wall, inspecting. Thank you, Cynthia! I do think peonies are divine and get excited each year when they spring back to life.